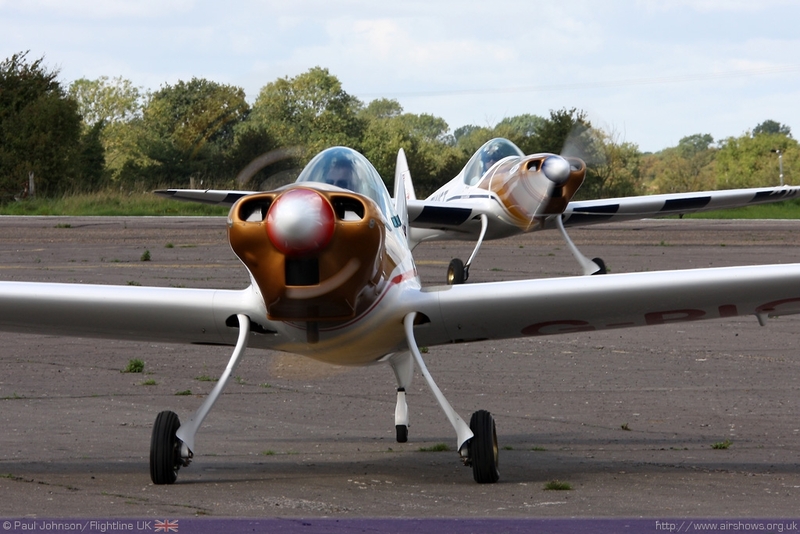 The Seething Charity Air Day is a small, but friendly affair held at the popular General Aviation airfield at Seething. 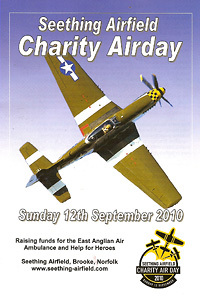 2010 marked the 10th edition of the Charity Air Day which this year was held is support of the East Anglian Air Ambulance and Help for Heroes. 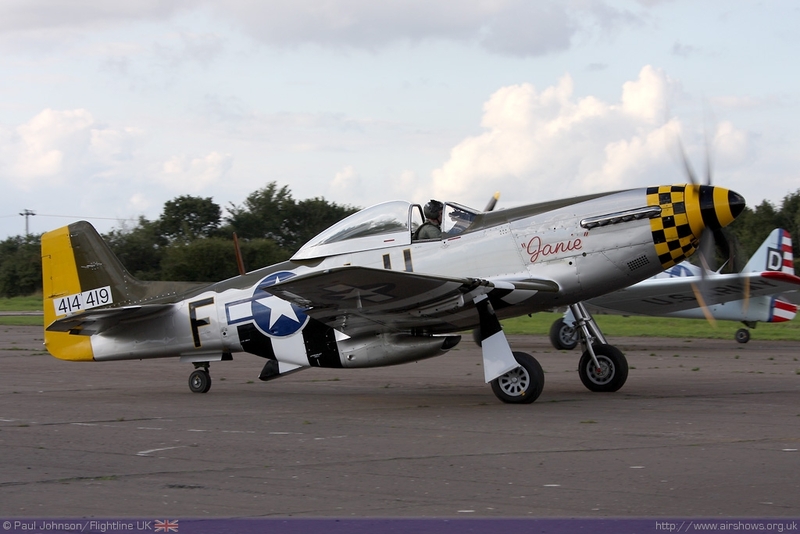 Seething Airfield was built for the United States Army Air Force like many airfields in East Anglia and this history was reflected in the flying displays as well as the historic control tower that has been restored into a museum. 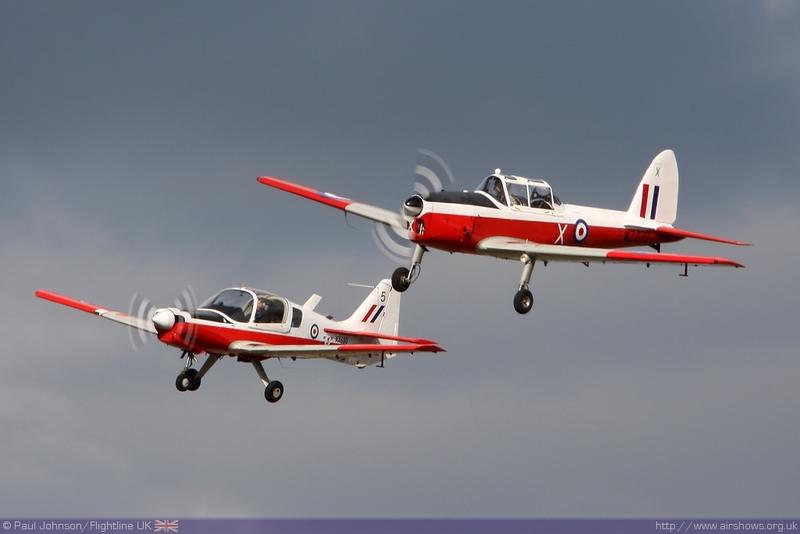 Every year, a number of small charity airshows are held within the East Anglian region. I have to admit that I rather enjoy them as they seem to attract their own small group of acts that don't seem to travel further afield and give these shows a certain charm. 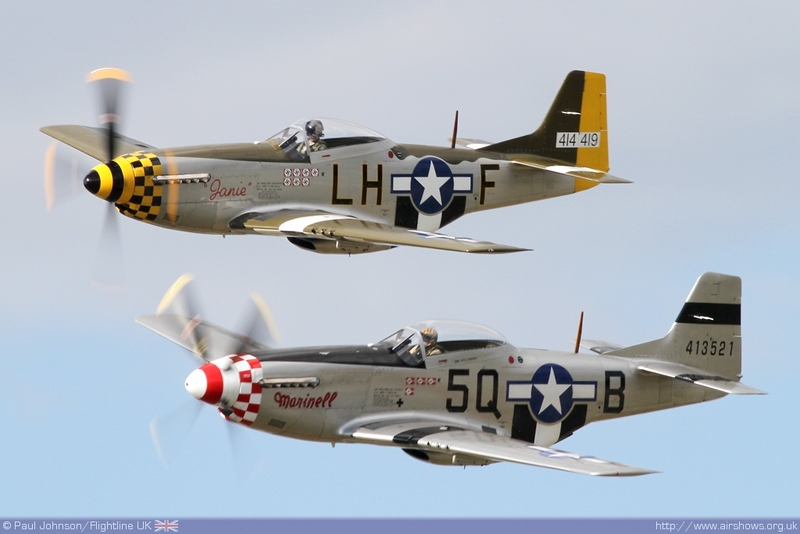 Seething, like many of those airfields and airshows has strong connection with the exploits of the US Army Air Force Bomb Groups that performed countless daylight bombing raids from 1943-1945. In Seething's case, it was home to the 448th Bomb Group that flew B-24 Liberators from Seething (or Station 146 as it was known) as part of the 8th Air Force. 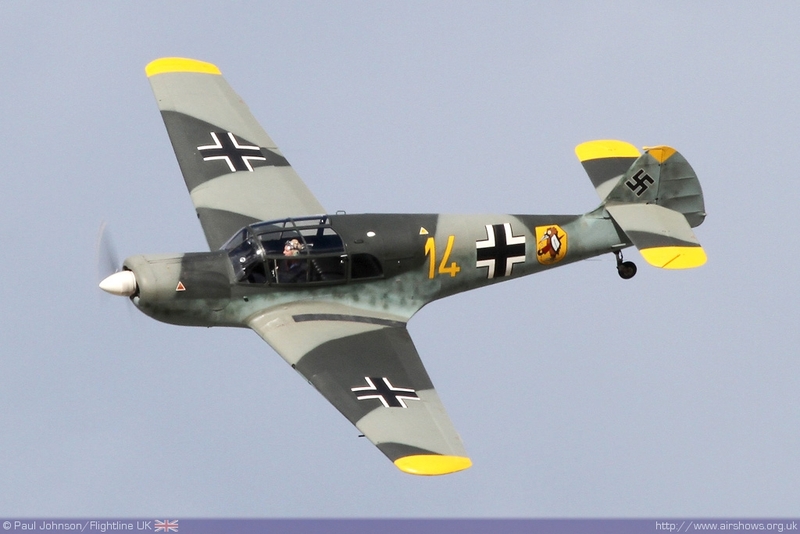 The Group attacked aircraft factories, U-Boat Pens and other factories across Germany and France as well as participating in supply drops during Operation Market Garden and the Battle of the Bulge. 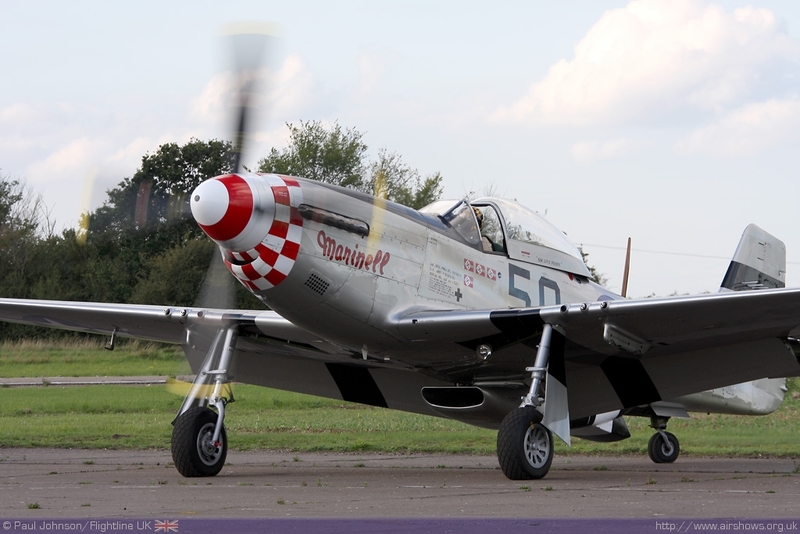 The 448th performed its last raid on Salzburg, Austria on 25th April 1945 attacking a marshalling yard. 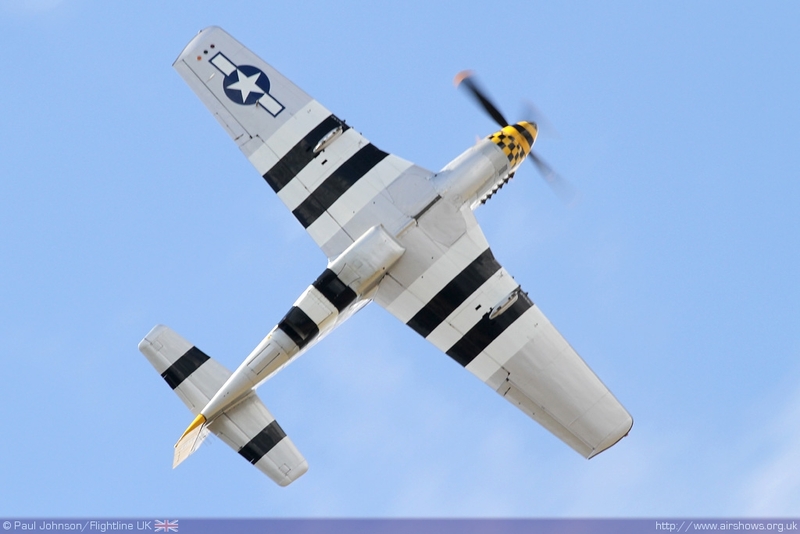 Over June and July 1945 the 448th moved back to the United States. 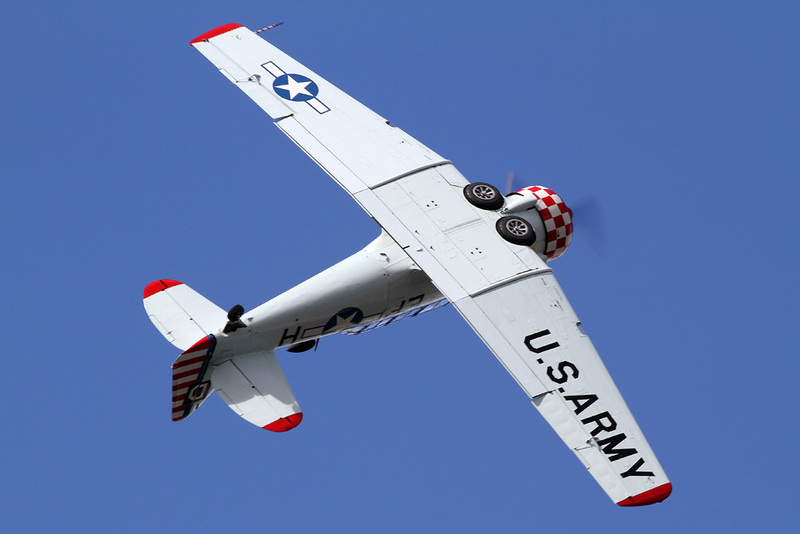 The 448th went on to fly the B-29 Superfortress, P-80 Shooting Stars and the North American F-86 Sabre (the latter two as the 448th Fighter-Bomber Group) before being deactivated in 1957. Following the end of the war in Europe, much of Seething Airfield was returned to agriculture with much of the infrastructure of the bomber base being dismantled and demolished. However, a small group of aviators soon discovered the remains of the runways and leased part of the airfield back from the farmers. 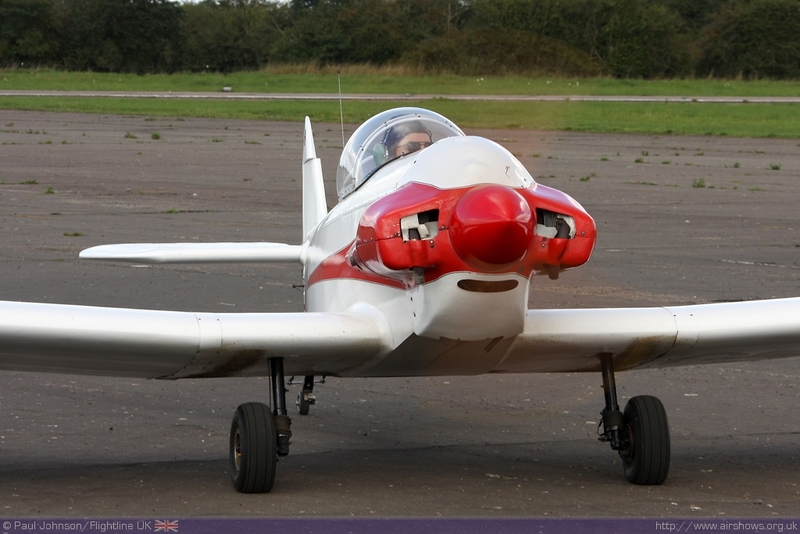 Since then Seething has grown into a popular centre for General Aviation with the aim of making flying as accessible as possible. 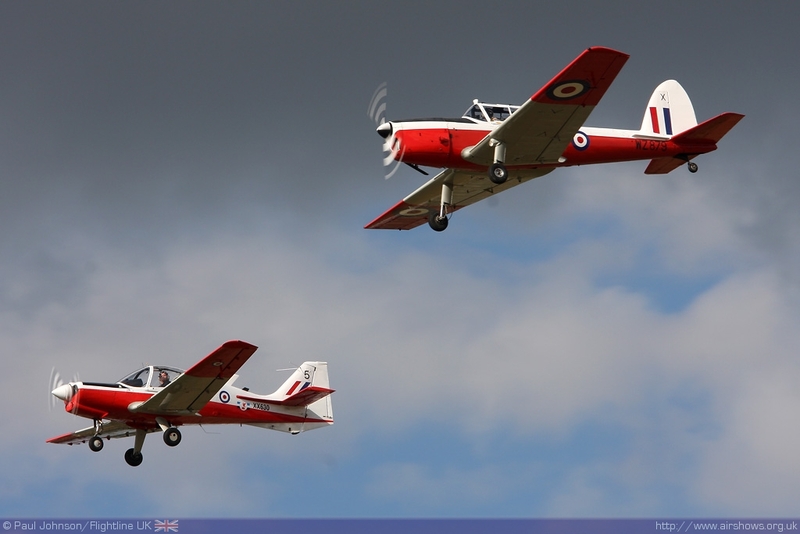 The Charity Air Day is a delightful day out. The showground has a distinct village fete feel to it alongside sizable collections of classic cars and military vehicles. It was good to see the Air Ambulance manage a few hours on the ground in-between shouts too as well as examples of the aircraft you can fly from Seething. 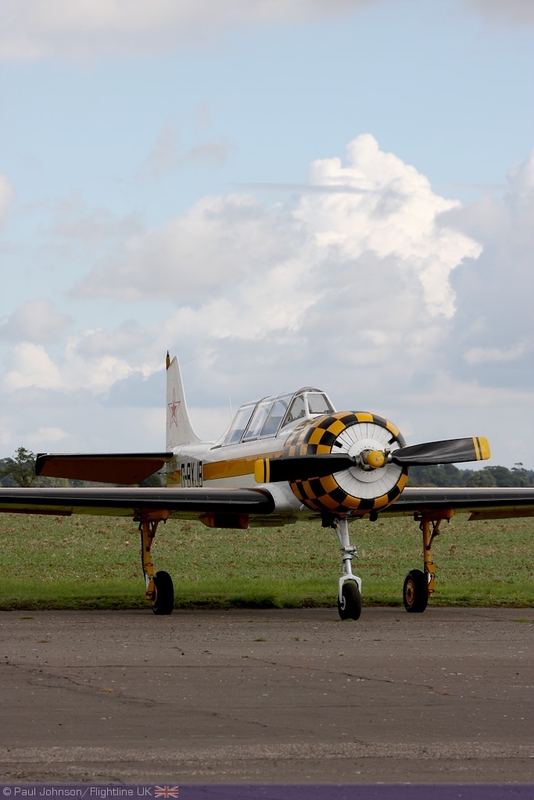 A nice touch for the visiting aircraft enthusiasts was the flightline walks down the side of the cross runway which was used to park the participating aircraft. Before the flying displays, these allowed photographers some unrivalled access to the aircraft taxying in and parked up ready for the flying displays later in the afternoon. 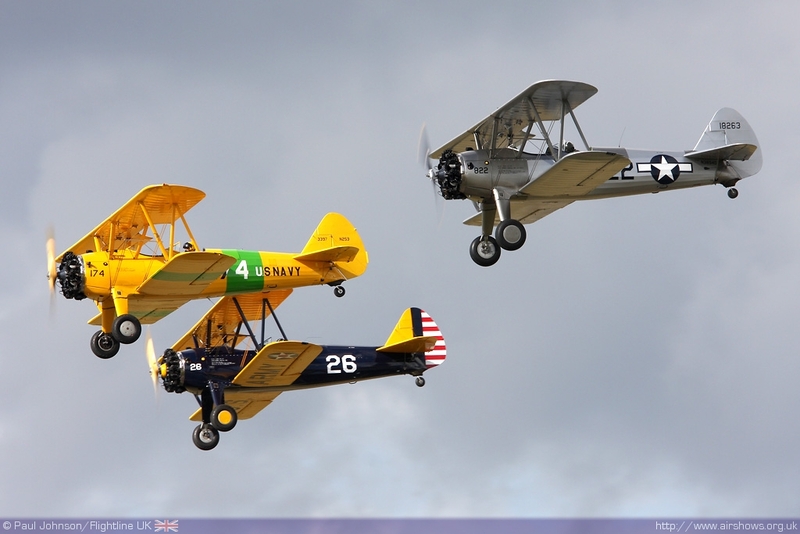 The flying displays featured a wide variety of different display acts from the civilian operators. 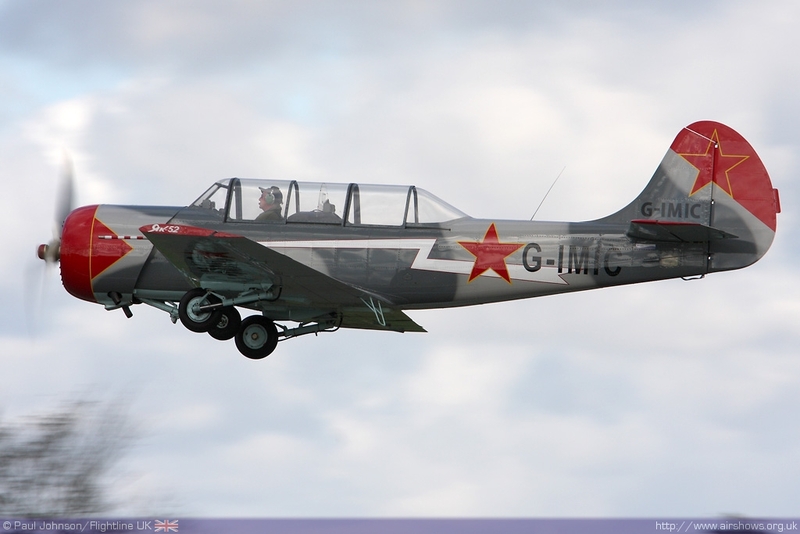 The show opened with an unusual combination of the Messerschmitt Bf108 Taifun and Nigel Wilson's Yakovlev Yak-52 which performed tail chases and solo displays with the use of smoke. There were some more pleasing combinations later in the programme. 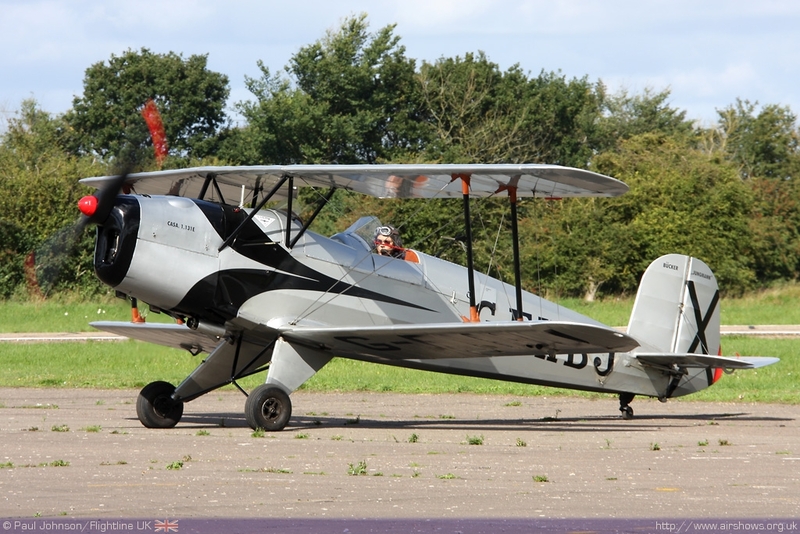 Nigel Wilson appeared again, this time flying the stunning Beechcraft D17 Staggerwing alongside a Fairchild PT-19 Cornell and there was also a small nod to RAF post war trainers with a duo of De Havilland Chipmunk T10 and Scottish Aviation Bulldog T1. 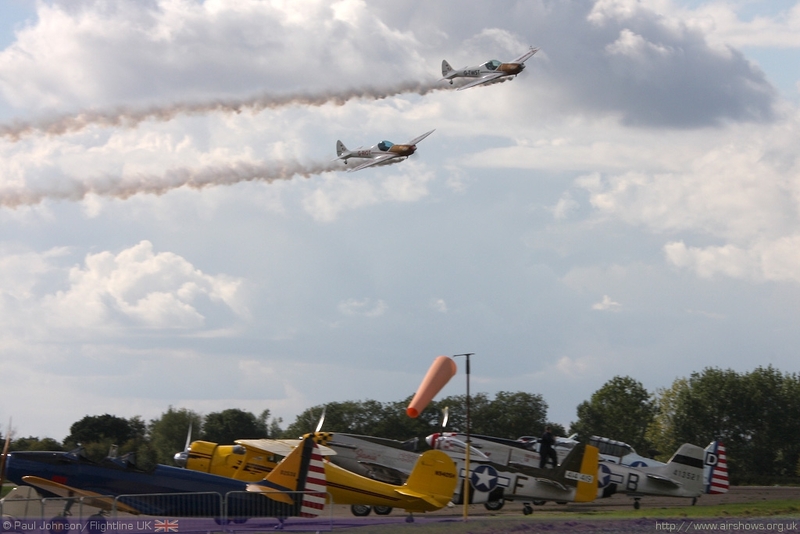 There was also a great mix of sports and aerobatic displays. 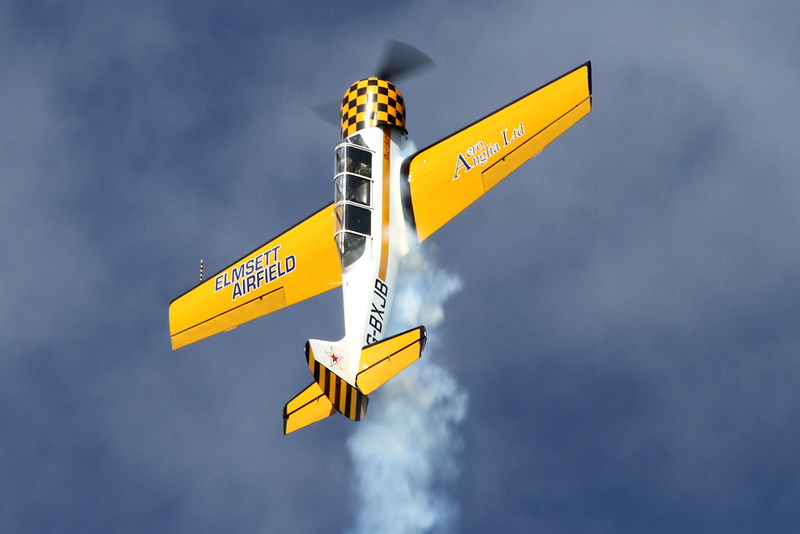 John Elliot displayed his MT09 Autogyro showing off the unique abilities of the aircraft. 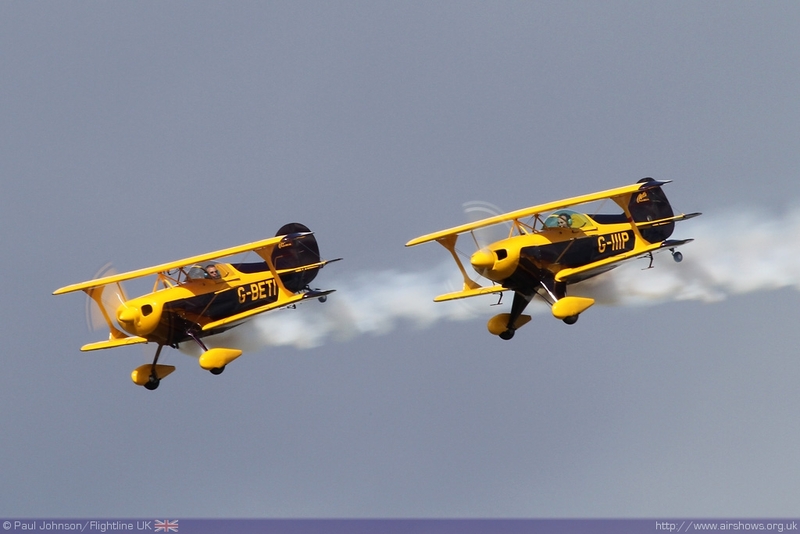 Their were also three different aerobatic "duo" displays on offer. 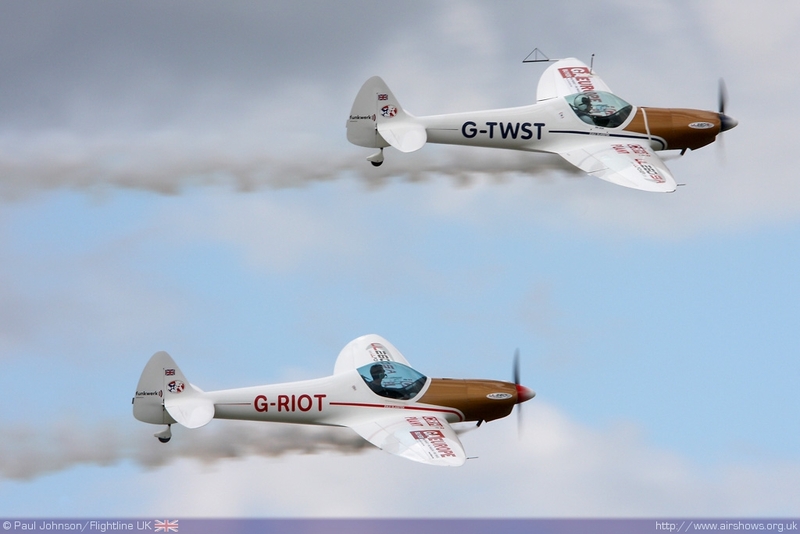 First up were the Pitts Pair flown by Richard Grace and Dave Pulleston. 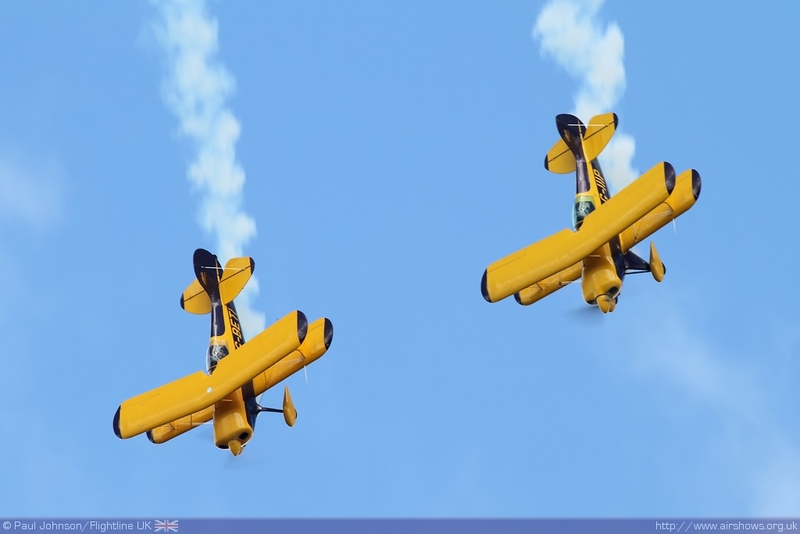 Their two Pitts S1D Specials have been restored in identical and stunning liveries and put on a fine display of formation and solo aerobatics. 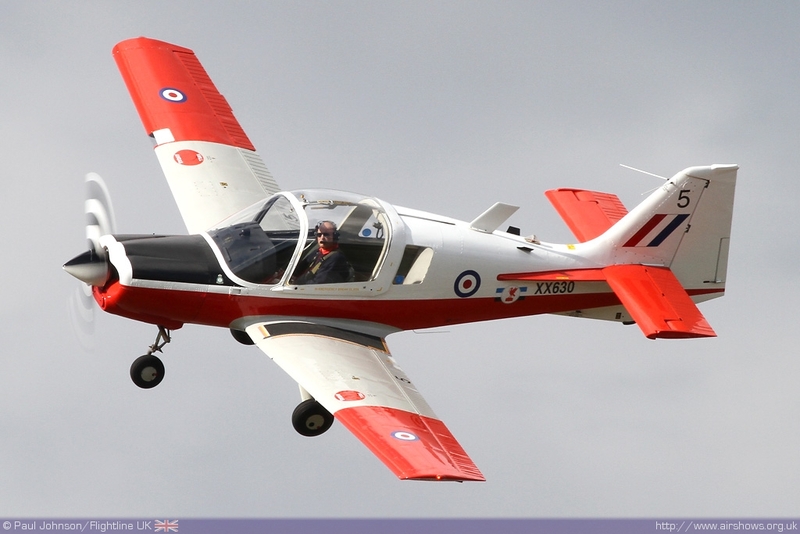 Representing a much more modern take on single seat "sports" aircraft were the Twister Duo flown by Pete Wells and Guy Westgate which have been a popular addition to UK shows in 2010 and have even taken in displays in Turkmenistan, Germany, Czech Republic, Belgium and Spain! 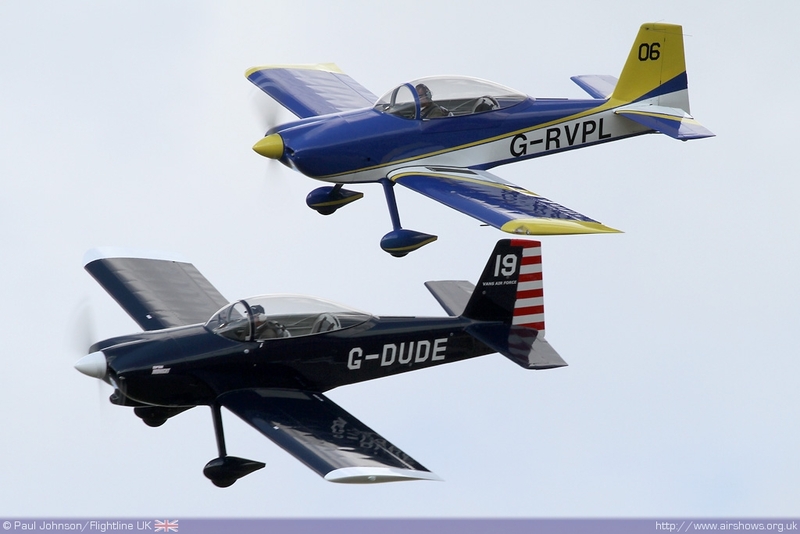 The final pairing were the Vans RV-8s flown by Stan Hodgkins and Peter Lawton who showed off the kit-built aircraft presence and speed to good effect. 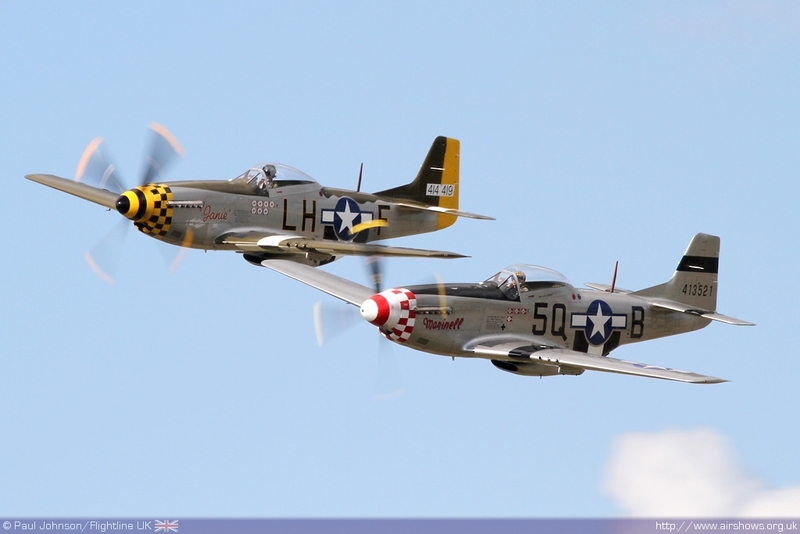 Many of the historic aircraft on display linked in nicely with the USAAF. 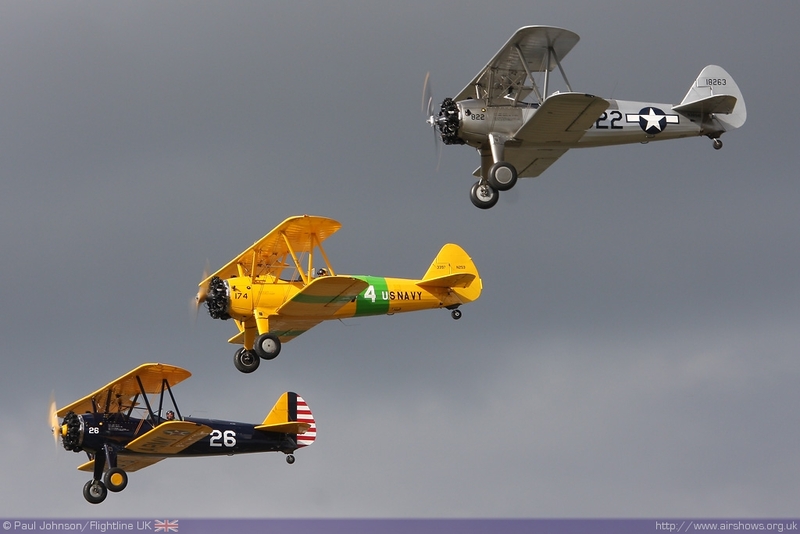 Gerry Honey led the wonderful three ship of Boeing Stearmans that regularly feature at East Anglian airshows with their varied and bright colour schemes. 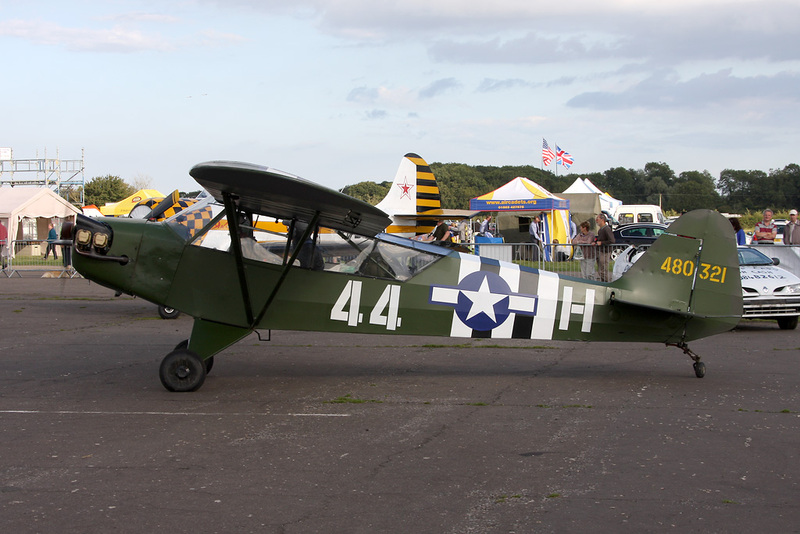 Maurice Hammond's Hardwick Warbirds also made a significant contribution to the show. 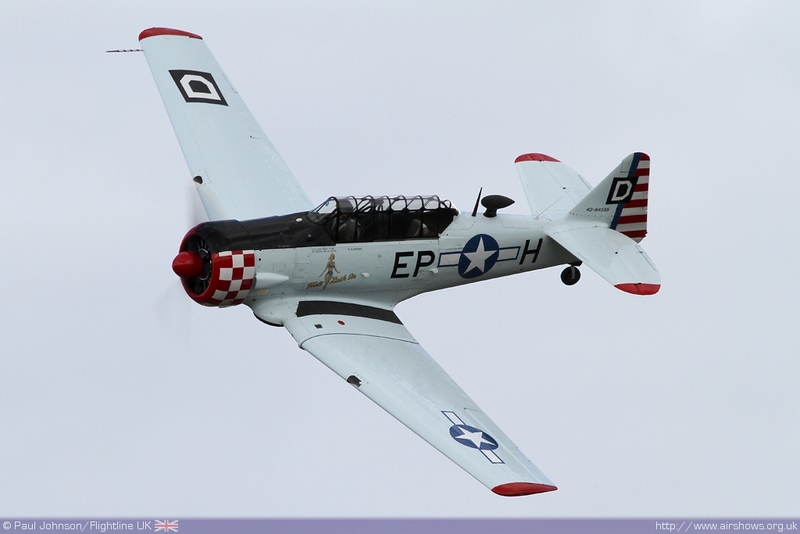 Dave Evans displayed the Hardwick North American T-6 Texan "Fools Rush In" early on in the display. 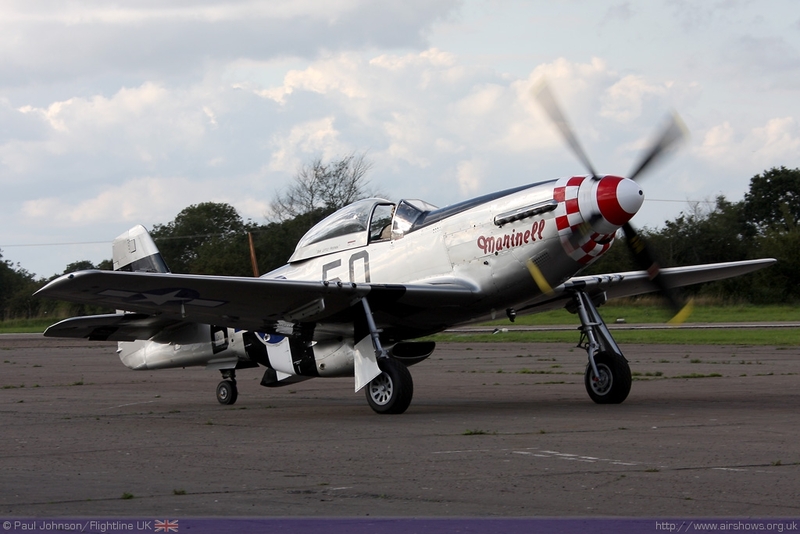 The penultimate acts of the day was Maurice's pair of P-51D Mustangs "Janie" and "Marinell" flown by Maurice and Dave Evans providing some very welcome Merlin power to proceeding! 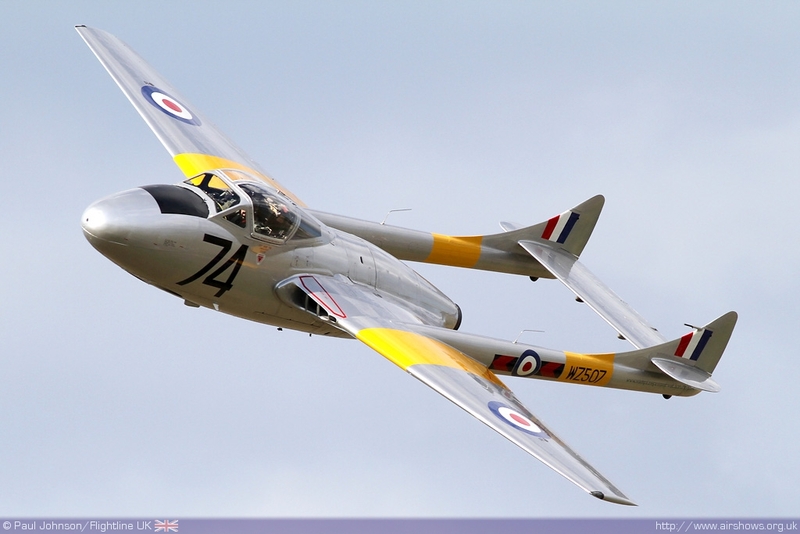 The show was closed by the Vampire Preservation Group's Vampire T11 making it's first Seething appearance and closing the show in fine style. Seething is not a large show, but it is one of the most fun and friendly shows in the UK. More importantly, the show raised over £6000 for charity! 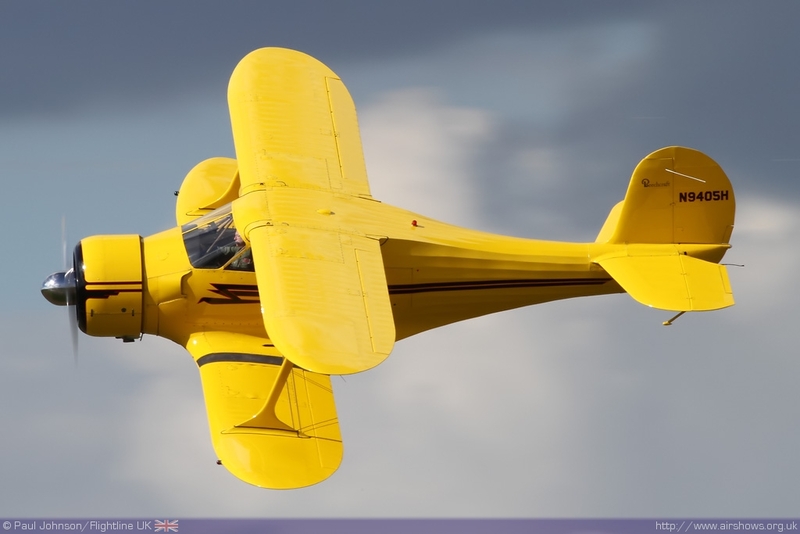 Here’s to Air Day 2011! Thanks to the Twister Duo.